This is the” Holy Grail” of all small sized US Currency notes. 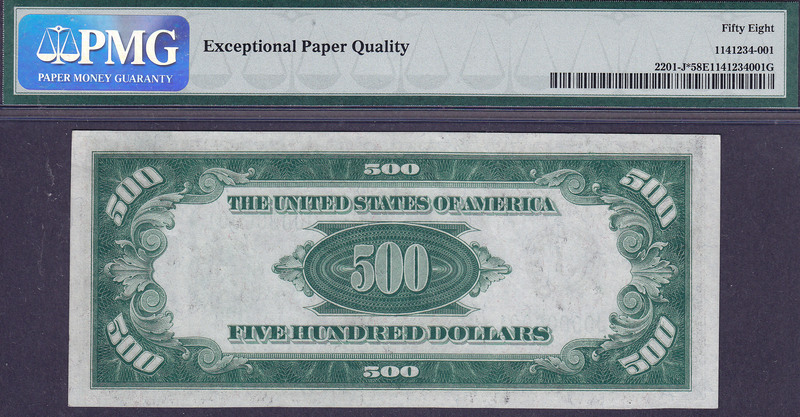 It is certainly one of the most prized and expensive US small sized note ever listed anywhere. There is only one serial number one star note ever released for all 1928 and 1934 $500 and $1,000 bills. There were two other serial number one $500’s. One was a 1928 $500 serial number one note that sold at the Baltimore ANA in, I believe 2003 to 2005. I will have to check the year. It sold for BIG, six figure bucks. The other one I never saw. Neither one of them were star notes. I purchased this note from an Estate that was brokered by a well known currency dealer friend of mine back in September of 2001, a few days after 911. 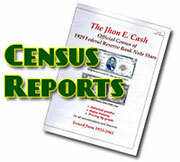 I also purchased the other 4 serial number one star notes that currently reside in the Jhon E Cash Collection. 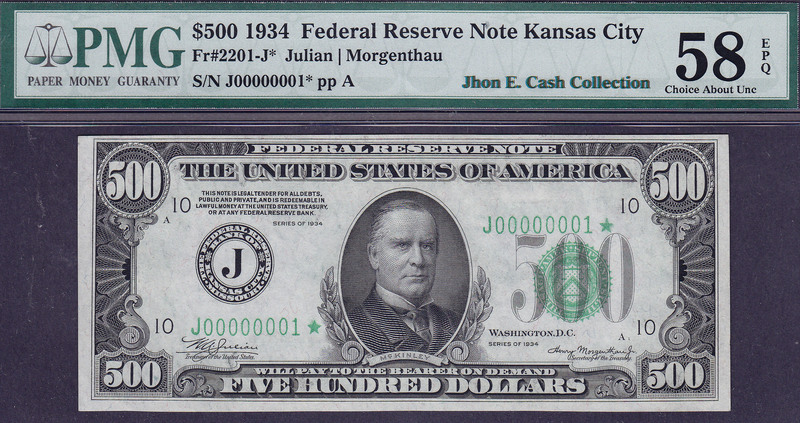 I consider this Kansas City $500 serial number one star note to be the highlight of the Jhon E Cash Collection. It is also the only known $500 star note on the Kansas City district. Over the years I have received many serious offers for it, but I can’t quite pull the trigger. I have listed this rare specimen for other to view it as I will probably never sell it. The centering is a tad bit off that keeps it from the GEM-65 grade. It is 100% original all the way. The serial number of this 1934 $500 Kansas City star is J00000001*. This note was originally improperly graded and now resides in a PCGS-63PPQ holder. This is one of those types of notes that any serious collector or investor would die for. I hope you enjoy viewing it and email it to your friends! It’s truly a beauty and a piece of Americana history. For you information, this is also the only 1934 $500 star from the Kansas City district. This pedigreed note should be in the Smithsonian Museum in Washington DC for all Americans to see as it is a very important part of the US monetary history.